Every student would have gone through the pangs of essay writing- long drawn and boring as compared to short, crisp answers to questions! They must have had their share of discomfort with grammar and spelling as well! Here are six classic examples of the commonest of mistakes. Spelling mistakes- right on top! 1. Spelling mistakes – right on top! Usually, an introductory phrase in an article or a paragraph is followed by a comma, although it is not compulsory if the term is a short one. This comma is absent here in essays. Let us learn exactly what the significance of a Thanksgiving speech at the end of the program is. Let us learn exactly, what the significance of a Thanksgiving speech at the end of the program is. The function of a coordinating conjunction is to connect two clauses in a sentence that could each be a stand-alone sentence. Coordinating conjunctions are words like and, but, for, or, so, not and yet. If you do not use a comma before one of these words, the sentence is called a run-on sentence. If the clauses are long, it is imperative to use a coordinating conjunction. The distance to his office is short yet he doesn’t like to walk to work. The distance to his office is short, yet he doesn’t like to walk to work. 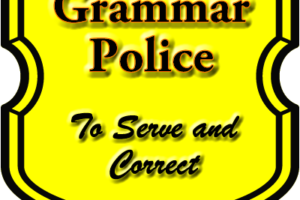 If the subject in a sentence is compound, you use a conjunction to connect more than a single noun phrase. My brother, and his friend, went to watch the game. My brother and his friend went to watch the game. Phrases that break the natural flow of sentences and give extra information are ‘interrupters’. Such phrases need to be preceded and followed by commas. The mishap was fortunately for him not very serious. The mishap was, fortunately for him, not very serious. A sentence becomes wordy if too many words are used to convey its meaning. This could lead to the reader becoming confused. Sharon could not attend the function at school due to the fact that she was not too well as she was suffering from fever and a nasty cold. 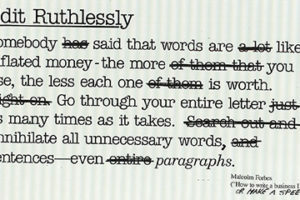 Solution: Replace long phrases with shorter ones or single words. Rid the sentence of unnecessary words like “due to the fact” etc. Sharon could not attend the school function because she was not feeling well. Developing a good writing practice will not only get you good grades in school but stand you in good stead throughout your writing days! 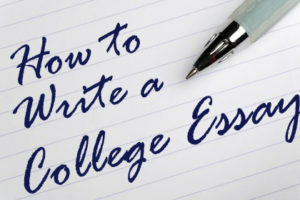 However, the less fortunate ones need not panic- you can use our Essay Proofreading Services and Essay Editing Services.